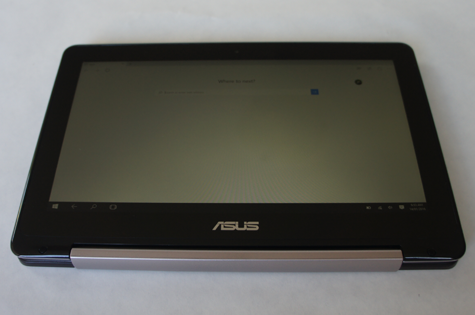 Recently, I had the chance to try one of Asus’ latest devices, the TP200. I have to say, the Taiwanese computer giant certainly hit the cord with this laptop-tablet hybrid! The TP200 belongs to a whole new category of computers, one that emerged after the first generation of tablets failed to fulfill our dreams of performance. When tablets made its appearance a few year ago we all went nuts – and most of us got one. Over time, however, it became clear that while tablet computers have some interesting features – portability, ease of use in certain areas (like airports or cars) – they fall short when it comes to performance and completing tasks that require more than basic typing (like sending detailed emails or preparing documents or presentations). On the other hand, tablets highlighted some of the main weaknesses of traditional laptops: short battery life and – in many cases – weight and size issues that worked against our desires and needs of portability. 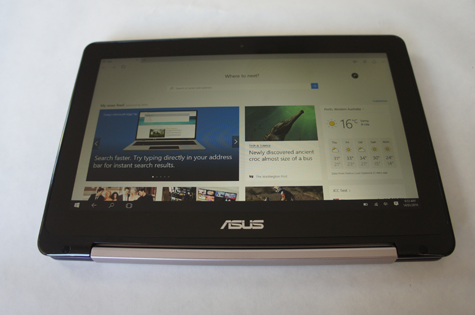 Luckily, companies like Asus did their homework, and a new category of laptop/tablet hybrids came around. The TP200 is a shining example of the new wave of 11-inchers: small enough to be carried around, powerful enough to compete with larger laptops. Oh, and it also features a 360-degree flippable screen. As I see it, this characteristic gives the user the power to decide whether it’s tablet time or laptop time. Quite a nice feature – for us, it’s been quite a thrill! Given the nature of our publication, we tested the TP200, and while doing it, I can't help but think about how great this will be for work-from-home mums. With all its sleek features, this is truly perfect for mums who have to take care of their children while also squeezing in work during their spare time. These bits of spare time may catch you waiting for your child to finish a swimming lesson, or at home while the toddler’s taking a nap. In any case, we’re talking of a device useful for situations that demand two not-so-basic features: portability and high performance. 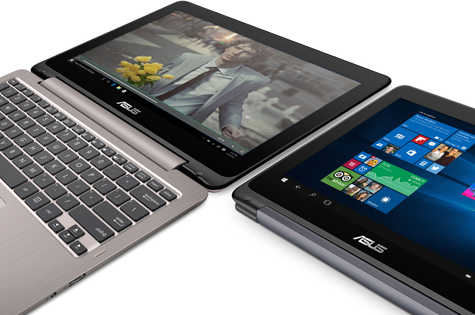 The Asus TP200 offers both. The long battery life and quick power up makes it super easy to switch it on to take quick notes when something comes up. It is used mostly in tablet mode, and given that it’s a touch screen, you won’t have to worry about your curious 2-year old from flipping the screen and disturbing your work while lying on a bed or couch. It should be noted, too, that as per any tablet, the touch screen is a magnet for finger prints. I know that there are screen protectors available on the market, which can easily solve this problem so that’s on my next to-do list. If you’re going to purchase the TP200, get a good screen protector too. Of course, when needed—like if you have to type a long email or note—you can quickly flip out the keyboard. 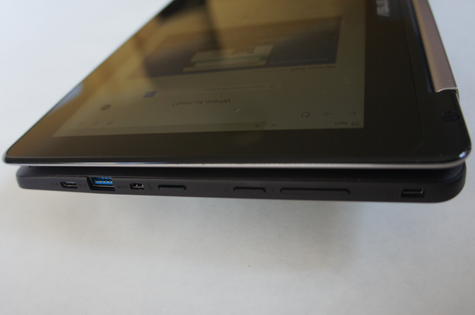 However, while the TP200 switches to tablet mode automatically once I flip it over, it takes about 3 to 5 seconds for the touch pad (and sometimes the keyboard) to respond when flipped back to laptop mode. After some usage, though, I have figured this out and I could take my time to get it moving. Weighting only 1.2 kg with a footprint smaller than an A4 piece of paper, the TP200 can be comfortably carried around – or at least, I was able to do so without any inconvenience, and I’m not the strongest person out there. Battery life stands at a solid 8 hour mark (the best laptops out there rarely make it to the 5-hour mark), and the device comes with a Microsoft Office 365 pack – Excel, Word, PowerPoint and Outlook. If you, like me in the past, had to dig for apps with an old tablet to compose a document on it, you will see a big improvement here. On the technical side, the TP200 comes with 4GB of RAM memory – a nice iteration on a market where the vast majority of devices still come with a limited 2GB of RAM memory – and a third-generation USB port, which means quicker data transfers. Since working moms can be counted among the people that best understand the importance of time, the extra RAM memory and third-gen USB ports are compelling arguments when it comes to picking a device over another. The TP200 is also very quiet and I have no complaints on the heat at all! These guys are the most useful. 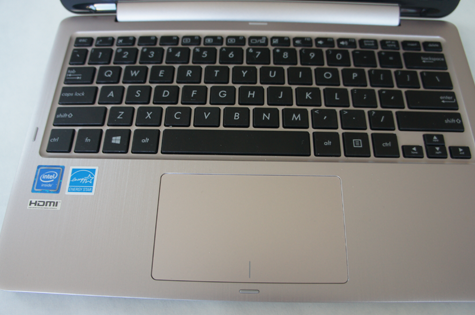 Really friendly, excellent, they’re among the best offers for any MacBook LCD repair. I experienced really made welcome and they could get the job done quickly. I know I’m defiantly returning these are the Visit men for laptop repair.